After a run-in with the beta version of Huawei's Android 9 Pie update for its older handsets, the homebrew Emotion UI 9.0 will be released to them in an official manner starting November 10. 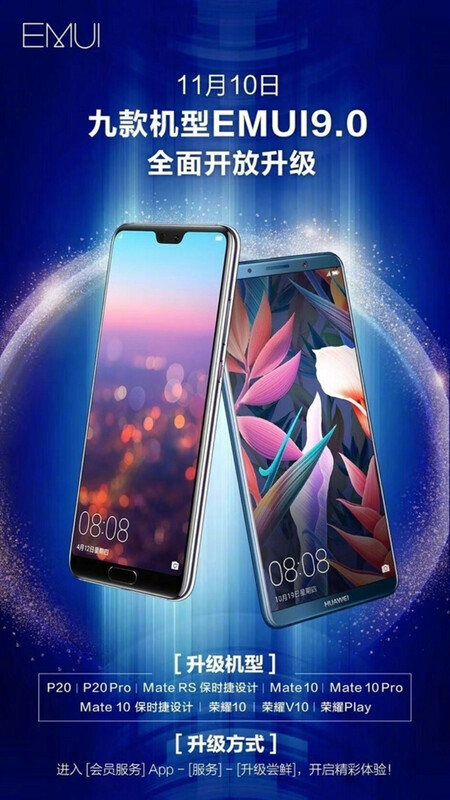 This is coming from none other but Huawei's official EMUI account that gave us the poster you see here with release date and the lucky handsets that will be updated to that sweet Android 9.0 Pie first. These include several phones from both Huawei's direct portfolio, and from its Honor undertaking. As you can easily guess, first in line are last year's flagships of the brands like all the Mate 10 models save for the Lite one, but up to the Porsche Design RS version. The P20 and P20 Pro are also been called out, as well as the Honor 10, View 10, and the game-centric Honor Play. That's nine of the most souped-up devices in Huawei's stable, in addition to the already announced Mate 20 gang. As to what the new EMUI 9.0 will bring to your glorious Mate or P-series phone, it's all the battery and performance improvements that Google ushered with Android Pie, as well as fresh takes of Huawei's own, including extra navigation gestures that add to the stock Pie interface. The November 10 date that is pegged for the rollout means that the Android Pie update is coming to Huawei's finest roughly within the promised 90 days after Google released it for manufacturers on August 6th. That's a breath of fresh air compared to the longer timeframes that earlier Android versions used to command. 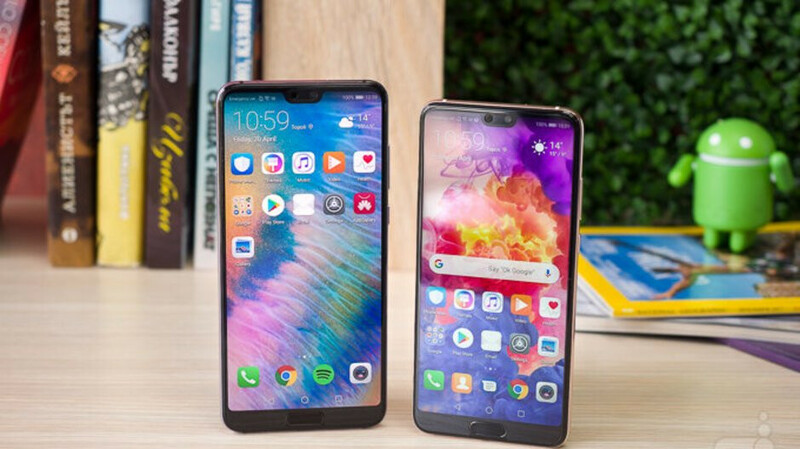 Whether it's Google's Project Treble, or simply Huawei working as fast as it could to bring some sweet pie to its major handsets, it's a step in the right direction. We'll be keeping an eye for when the EMUI 9.0 update is actually pushed to the office units, and run through the sweet extra features accordingly. Did you just praise Huawei's new and improved software update policy? Because, you know: LOL Most recent security for my Huawei Mate 10 Pro is the June patch. That came with Face Unlock so I can now unlock the phone shaking a banana in front of the camera. The camera doesn't focus correctly anymore, and I receive SMS bundled - about one bunch every 36 hours. You probably didn't notice, but that 'poster' Huawei posted is in Chinese. So, if you think that means ALL owners of said update receive it on November 10, you have gotta be new to Huawei. There are literally hundreds of variants of the models listed, and we're not counting network branded models. Browse Huawei's own forums to check out the numerous rumours** that have been doing the rounds since July - from Turbo Mode in August, to EMUI/Android 8.1 for the Mate in August. ** and those are just rumours 'confirmed' by Huawei's customer care drones by email, or in forum posts LOL. Don't get me wrong: the Mate 10 Pro is a stunning device, but anyone who cares about security and feature updates: stay clear. Huawei haven't changed in that regard.